Hi I’m Jonathan Cohen at Cohen and Winters. Today I’d like to talk to you about a question that we get asked more often than any other question: If a police officer pulls me over, should I blow? And the answer to that very lawyerly: it depends. I want to give you a little bit of information so that you can make an informed decision should you ever find yourself in this unfortunate situation. First you should understand that in New Hampshire there is something called the implied consent law. This law states if you’re driving on the roads in New Hampshire you have impliedly consented to submitting to a breath, blood, or physical test when asked by a law enforcement officer who thinks you were driving while intoxicated. If you refuse the DMV has the right to suspend your license. That’s separate from any court imposed suspension based on a conviction either after trial or by plea. The DMV suspension will run concurrently, or at the same time with any court suspension if you give a breath, or a blood sample. It will run consecutive to any court imposed suspension if you refuse. At roadside a police officer might ask you if you want to actually blow into a little handheld device. This is called a preliminary breath test (PBT) and you should always refuse that test unless you’ve had nothing to drink and you have nothing to worry about. These tests are wildly inaccurate and they can give artificially high readings. Additionally, if you refuse the PBT that cannot be held against you, nor can your license be suspended based on that refusal. You have much to lose and little to gain by agreeing to take a PBT. What Can Happen If You Blow Over/Under? Let’s say that you’ve refused that and the officer decides he or she is going to arrest you. You get brought back to the station, you get booked, and then you get asked to either submit to a breath or blood test. What do you do now? This time if you refuse the DMV can and will suspend your license. If you submit to this test and it results in a blood alcohol content (BAC) over a .08, or a .02 if you’re under 21, they will suspend your license. There are different things to think about in this situation. One is that even if you agree to this testing and you come up with a BAC of under a .08 – let’s say it’s close, a .07 or a .06 even – the DMV won’t take your license, but the prosecutor can still elect to prosecute you even though you have a B.A.C that’s under a .08. They can use a different standard which is impaired to any extent by drugs or alcohol or some combination thereof. You should also consider that if you refuse, not only will the DMV take your license, but that refusal is admissible evidence against you at your trial – that is that the judge can infer that you refused because you thought you would have a BAC over the legal limit. Finally, you should consider that if your BAC is more than twice the legal limit you could be charged with an aggravated DWI and that can carry mandatory jail time and a much longer mandatory minimum license loss. At the end of the day you need to decide whether or not to take this test. What I recommend is this – if you are fairly certain, or you know that you will test under a .08 – you’ve had one glass of wine, you’ve had one beer, and you had a meal, then I would say take the test because it’s going to be exculpatory. It’s going to show that you have a very low BAC and that is evidence that will help in terms of the prosecutor deciding whether to prosecute you and will help your lawyer defend you if you are prosecuted. If you think that you might blow over or you know you will blow over, then you should seriously think about refusing because that evidence can be used against you and your lawyer may have a better chance of defending you if there is not a BAC. 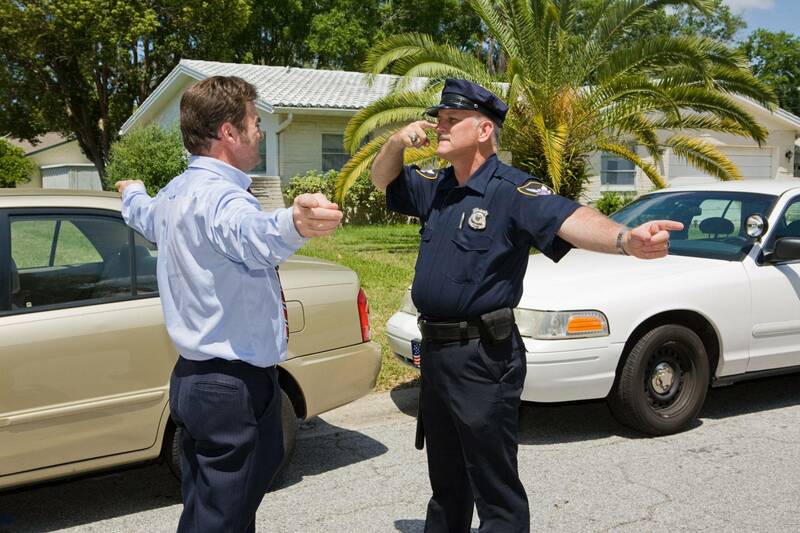 There are a lot of different things to think about when you are facing a DUI. Whether to submit to testing and how to handle things is very difficult to think through, especially if you’re in the situation that you’ve never been in before and it’s very nerve wracking, embarrassing, and scary. The bottom line is that here at Cohen and Winters, we frequently help people in all these various types of situations. I highly recommend that you consider contacting competent counsel and engaging a lawyer to help you if you have to deal with this unfortunate situation.